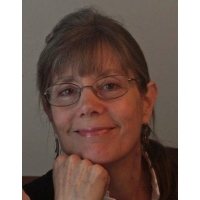 Michele Root-Bernstein has a Ph.D. in history and works in creativity studies. Her current research focuses on the invention of imaginary worlds in childhood and adulthood and the role of play in creative giftedness. She approaches haiku as a kind of play, rich with satisfactions. She also likes to knit socks and bake bread and occasionally dreams of developing skill in hand-made book design. Voices in English-Language Haiku (Red Moon Press, 2009). Credits: "fingers poised" - A New Resonance 6: Emerging Voices in English-Language Haiku (Red Moon Press, 2009); "forsythia" - South by Southeast 17:2 (2010); "stray thoughts" - The Heron's Nest XII:4 (2010); "sparrows" - Acorn 24 (2010); "between" - Frogpond 32.2 (2009); "nightfall" - Modern Haiku 41:3 (2010).